The tagging and relocation of sharks off Australia's most populous state will be sharply increased to protect surfers ahead of a busy summer season, authorities said Sunday, after a teenager was mauled in a recent attack. The New South Wales government has come under pressure to act after a 17-year-old boy was bitten on the leg while surfing off Australia's east coast last Monday. 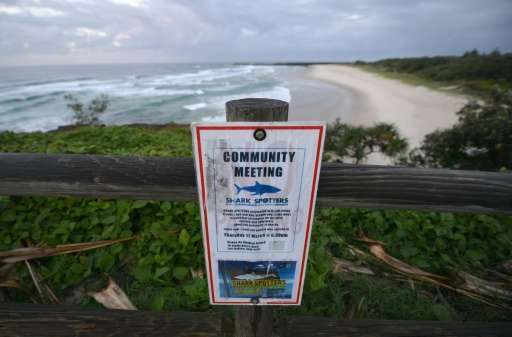 The scene of the attack—Ballina's Lighthouse Beach about 750 kilometres (466 miles) north of Sydney—is in a region that has become known as a shark hotspot after a spate of encounters over the past year. But trials to protect local surfers with eco-barriers were recently scrapped due to rough conditions, with the government turning to "smart drumlines" where sharks are caught and tagged before being relocated further out to sea. "Our testing shows smart drumlines are highly effective in catching sharks so they can be tagged and relocated so we will increase the number deployed off NSW from 15 to 100," NSW Primary Industries Minister Niall Blair said in a statement after meeting with Ballina's community leaders. "The smart drumline rollout will be prioritised on the North Coast in response to strong community support for the technology, which has now been proven with 31 great white and five bull sharks successfully tagged and relocated." The so-called smart drumlines are meant to be more friendly to other marine life and are not designed to kill sharks, the government said. They alert officials when creatures are captured so they can be freed if conditions permit. Conservationists and marine scientists have criticised traditional drum lines—which use baited hooks attached to floating buoys to snare sharks—as being harmful to marine life. 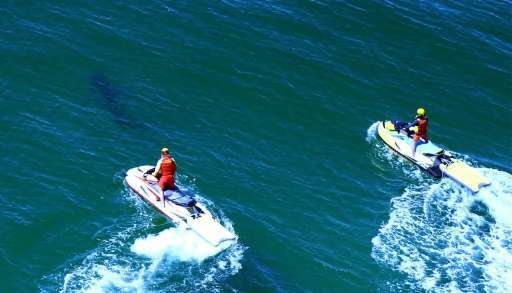 Five of the nine shark attacks in Australia this year occurred in NSW, according to data from Sydney's Taronga Zoo. The state's summer season begins in December. Last year, it saw encounters spike to 14. While NSW Premier Mike Baird ruled out culling, he unveiled a Aus$16 million (US$13 million) strategy that included testing aerial drones to track the marine predators' movements. Experts say attacks are increasing as water sports become more popular and baitfish move closer to shore, but fatalities remain rare.